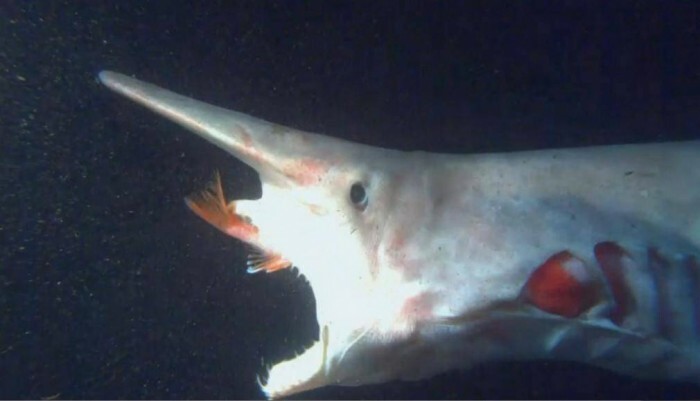 Have You Ever Seen Such a Scary & Goblin Shark with Two Faces? 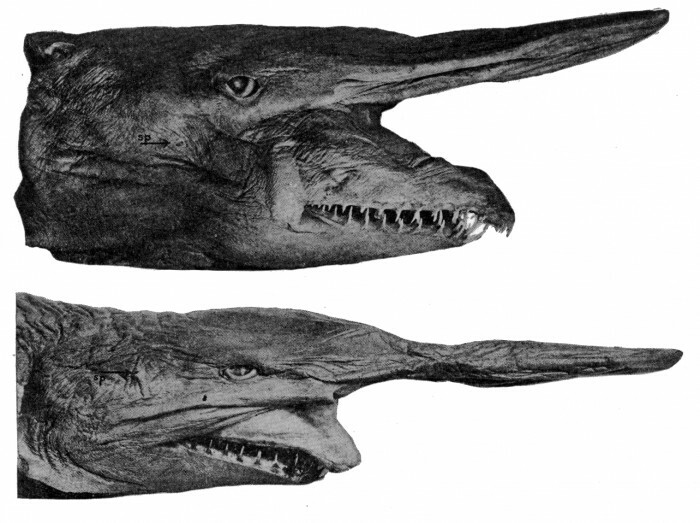 Home/Others/Have You Ever Seen Such a Scary & Goblin Shark with Two Faces? 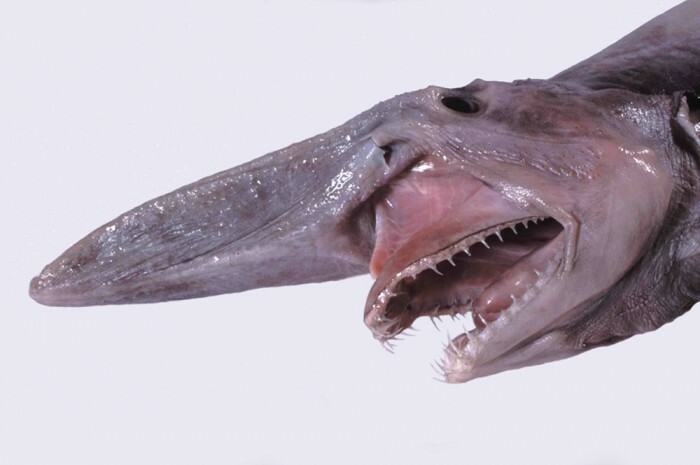 Goblin shark is one of the strangest and rarest species of sharks that can be ever seen. 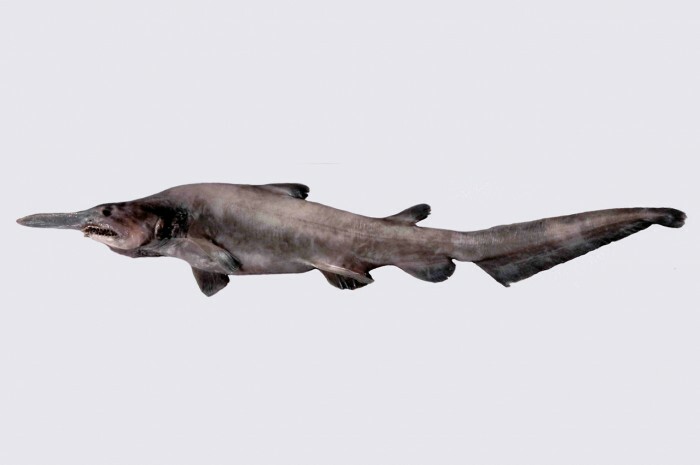 It is a deep-sea shark that is not widely known and it is also called a living fossil or elfin shark. 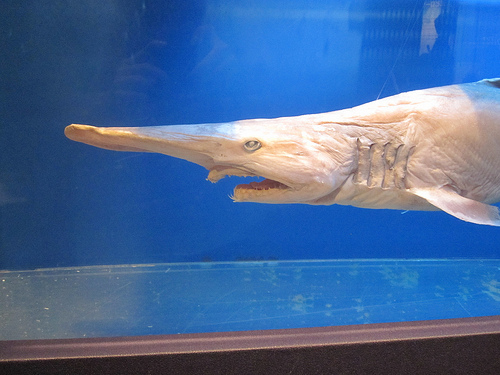 The name which is commonly used is goblin shark that is in fact a translation of its old name which is originally Japanese and it is “tenguzame” which refers to a mythical creature in Japan that has a red face and long nose. 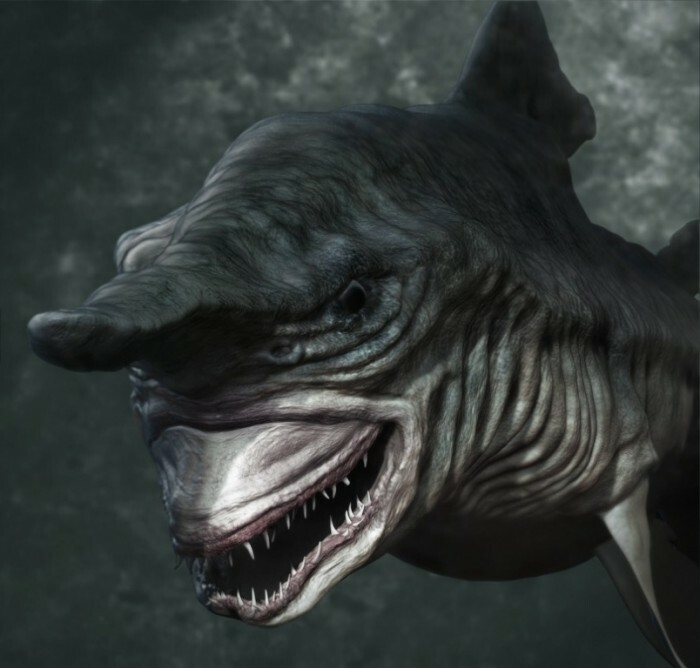 Such a scary shark really deserves to be called goblin as its shape looks strange as if it is a monster not a shark and it also seems as if it has two faces not just one. 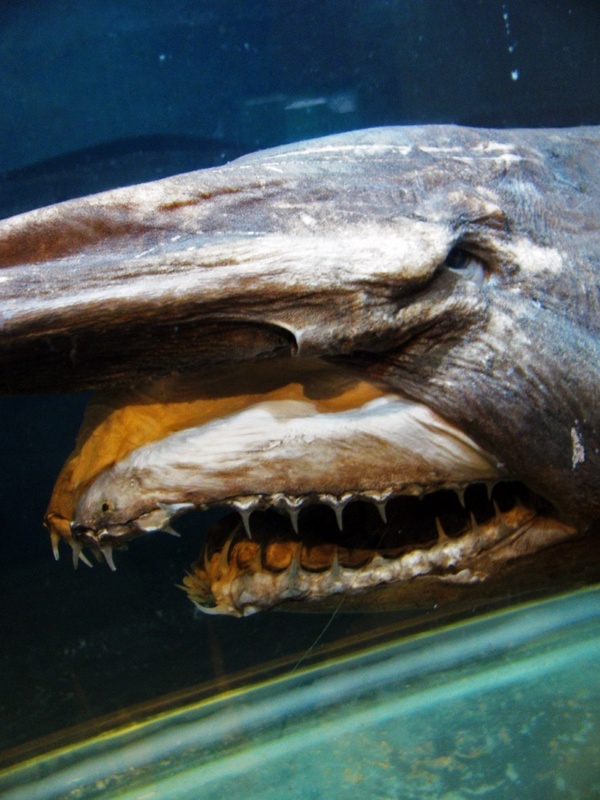 This scary shark has not recently appeared because it has been existing for 125 million years. 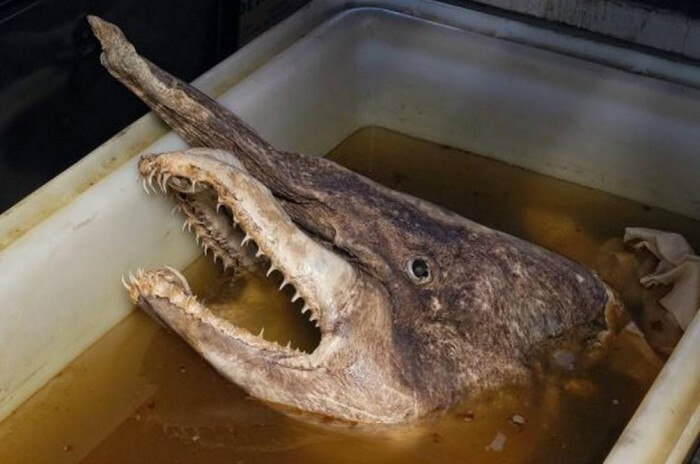 What gives this scary shark its unique and weird shape is that it is really different from other sharks as it has a long flat snout that is covered with ampullae of Lorenzini and it makes the snout functions as a sensor. 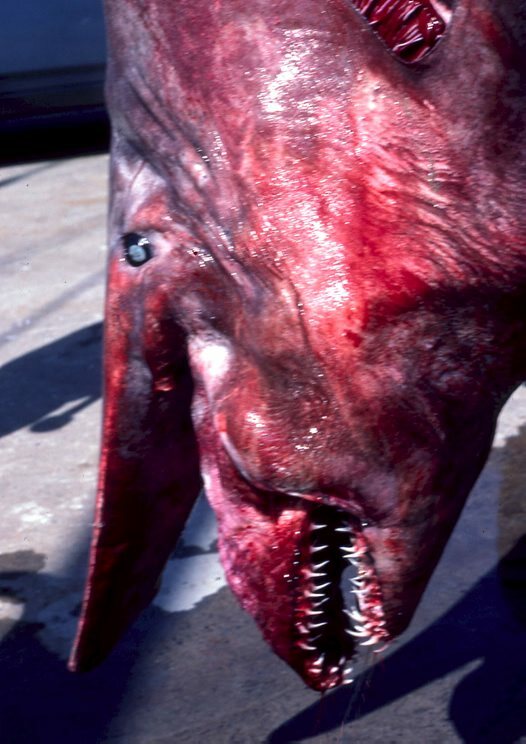 The snout helps the shark to feel any electric fields even the weak ones that are produced by any prey near it. 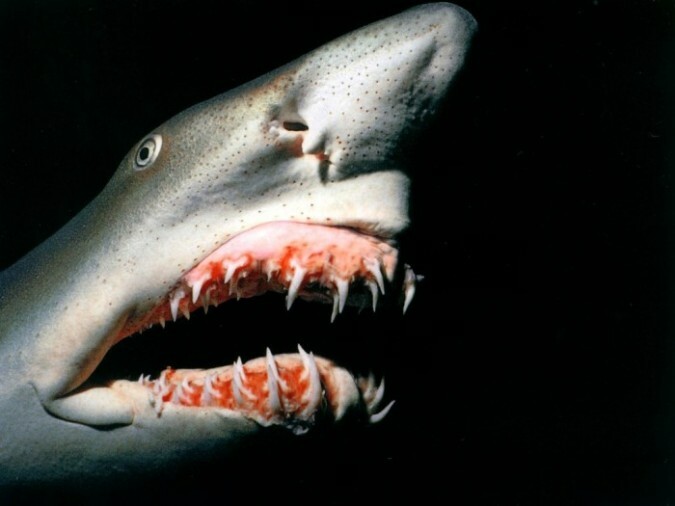 Its jaws are really weird as the teeth that they contain look like nails. 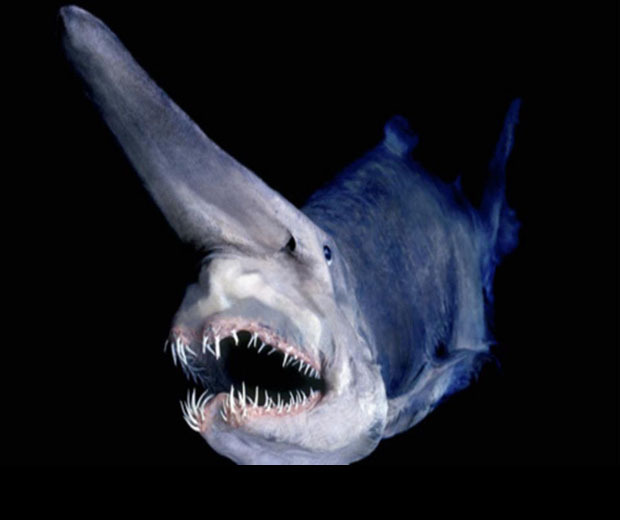 The average length of the adult goblin shark ranges from 3 to 4 meters, it weighs approximately 210 kg for the shark that is 3.8 m long. 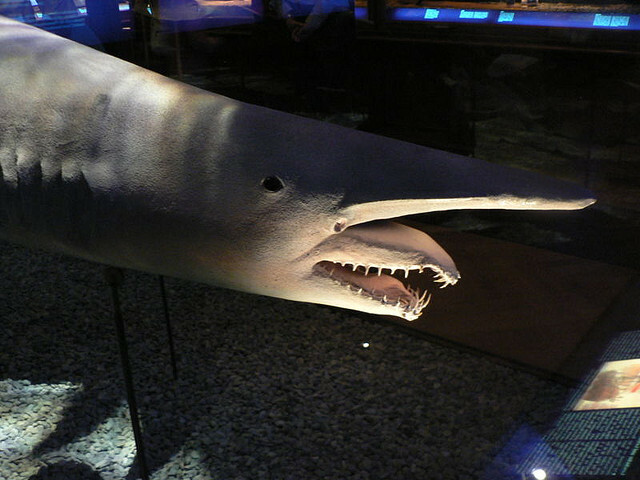 A goblin shark has short fins and it can grow to be longer than 4 m as a female goblin shark was captured in 2000 and its length was approximately 5.4 to 6.2 m.
Goblin sharks are inactive ones and can be found in the three major oceans around the world in seamounts, submarine canyons and continental slopes at a great depth which is about 100 m and more and this great depth saves them from being captured by deep water fisheries. 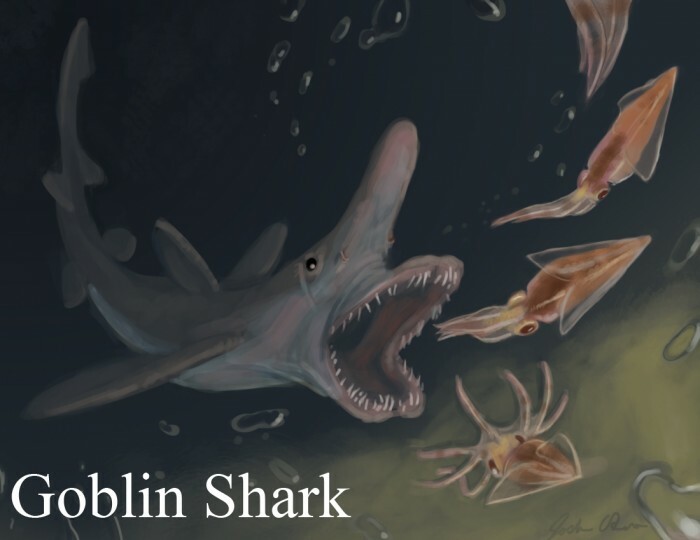 Goblin sharks depend in their food on rattails, dragonfishes and other teleost fishes, isopods, decapods, blackbelly rosefish, crustaceans and cephalopods. 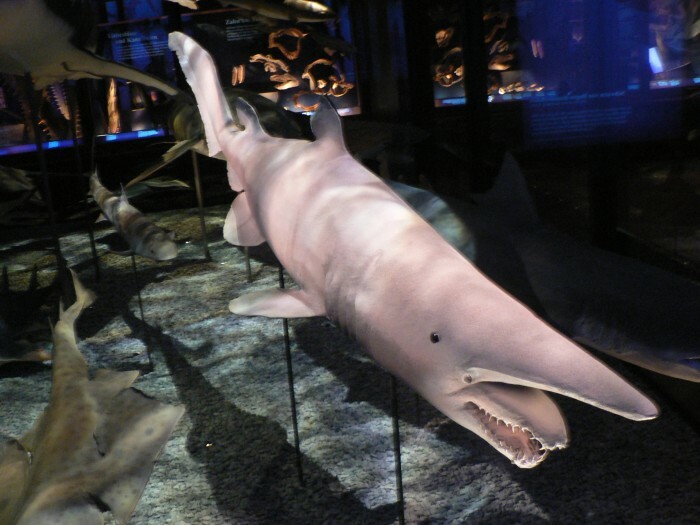 The goblin shark extends its jaws forward when it hunts its prey only, however it is always depicted in that way when it is drawn or photographed which makes them more scary. 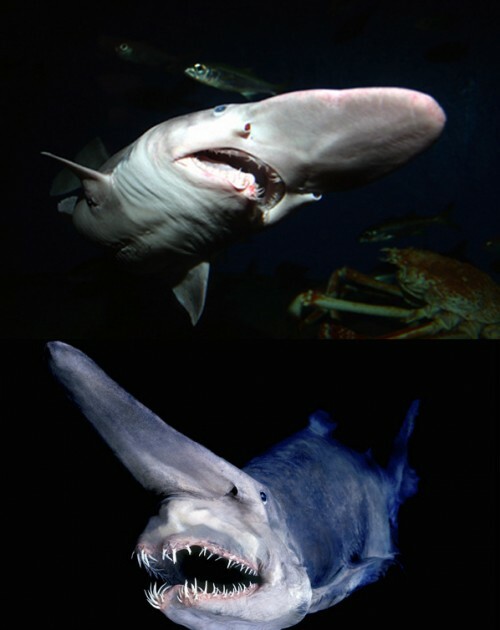 Goblin sharks can become prey also as the blue sharks can easily hunt them. 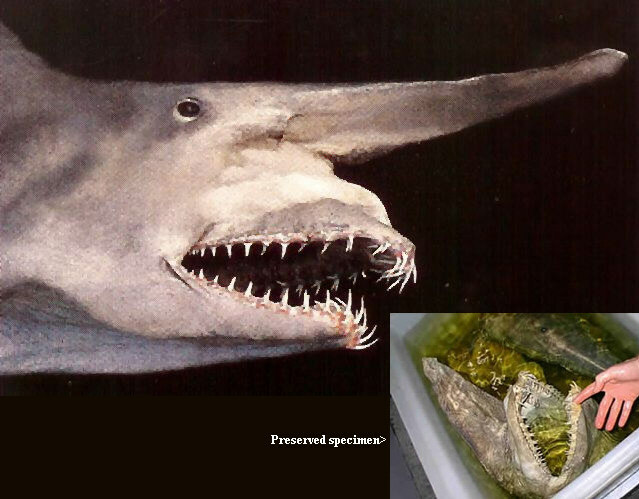 They can be found at great depths and that is why they are not dangerous for humans. 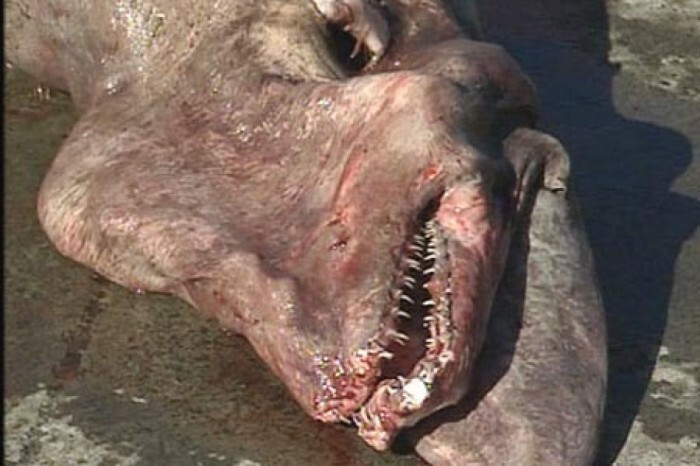 These sharks are not captured at large numbers and for this reason they are not threatened to be extinct. Fishers do not seek for capturing these sharks because they do not have significant economic value that helps them to make money.